Four answers do not fit their allotted spaces in the grid. In each case the entry is a word with which the answer forms the title of an award-winning work. A fifth answer, which does fit, needs a similar treatment (leaving real words). 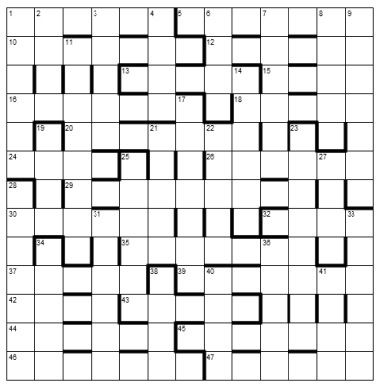 A hint to identifying this answer appears in the grid. To enter this competition, send your entry as an image or in list format to ccpuzzles@talktalk.net before 8th December 2016. The first correct entry drawn from the hat will receive a book from the Chambers range, which has been donated by Chambers.